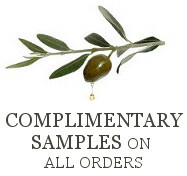 Give the gift of Olive Branch. Email this Gift Certificate directly to the recipient (enter their email address in the 'Ship To' area at check-out) or, email the gift certificate to yourself (enter your email address in the 'Ship To' area at check-out), then print it out and gift it to the gift recipient! *This item is not eligible for Gift Wrap since it will be sent by email to the Gift Recipient.